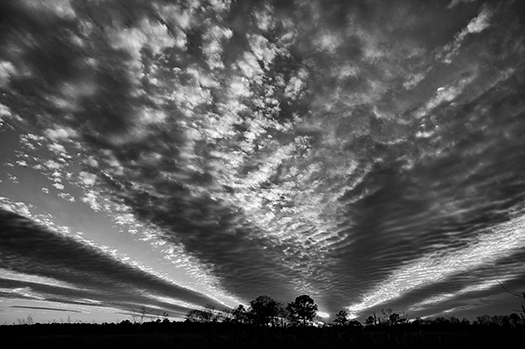 I thought this sunset would look good as a black and white when I made the photograph that night. 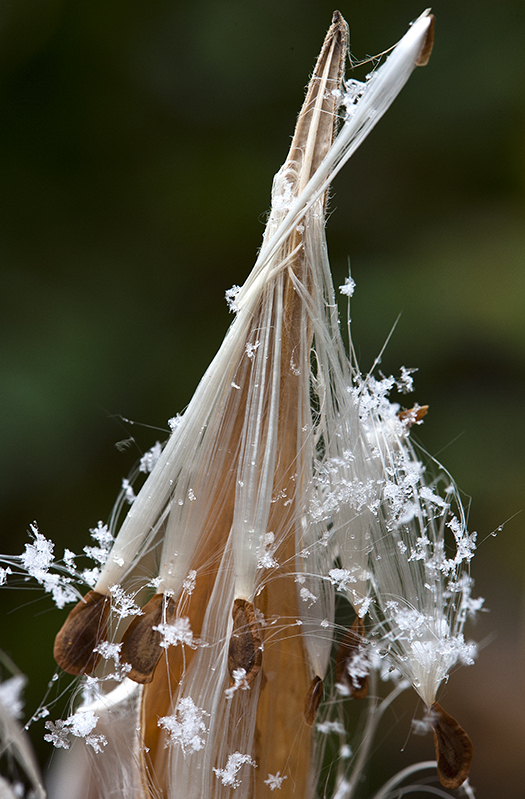 Our first snow last Sunday laid snowflakes on milkweed seeds that hadn’t jettisoned from their pod yet. 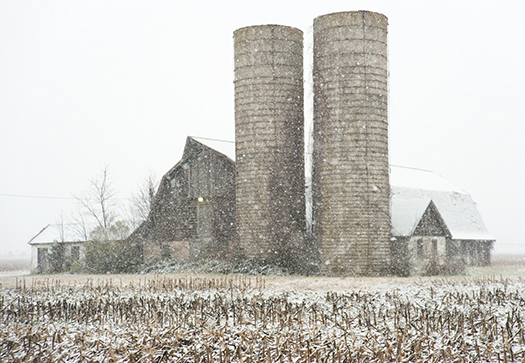 The first snow of the season fell today so I had to shoot a few scenes around Lewes. As a snow lover I am encouraged that our first snow fell before winter technically begins. Let’s hope for more this year. 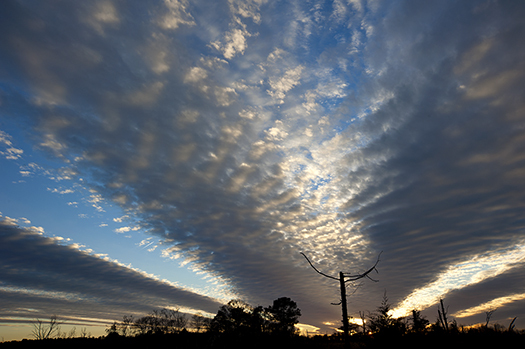 I love the variety of cloud shapes and patterns in the sky here at the Delaware coast. The sun set a few weeks ago on clouds that seemed to carry the light from the western ground through the sky to the east. Fall in Delaware is a combination of cold days, followed by warm, then back to cold. 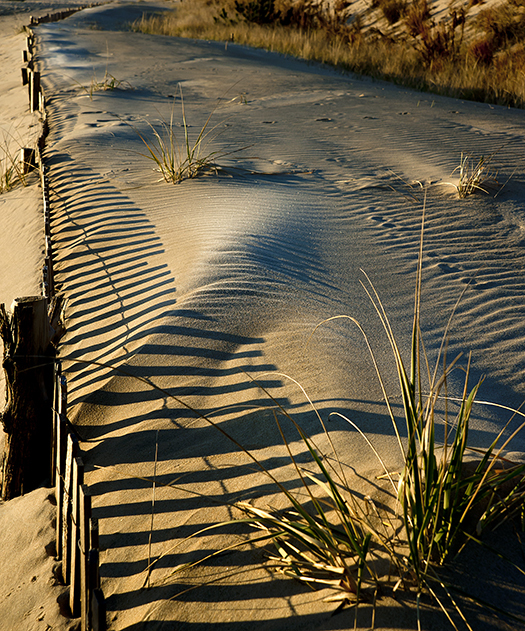 As I write this it is 60 degrees at 9:30 at night but a few days ago frost formed on the dunes before sunrise. First light cast long shadows but not enough heat to thaw the icy crystals. 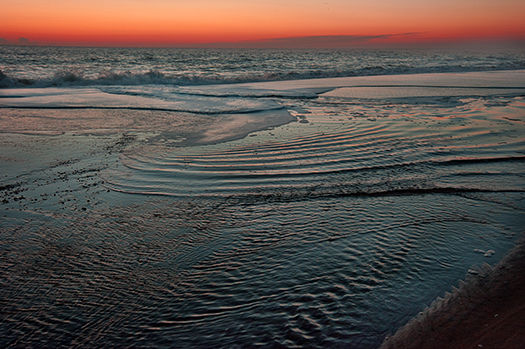 Sunrise this morning was bright and clear (not what I was hoping for) but high tide was covering a beach ridge, resulting in interesting patterns in the water. 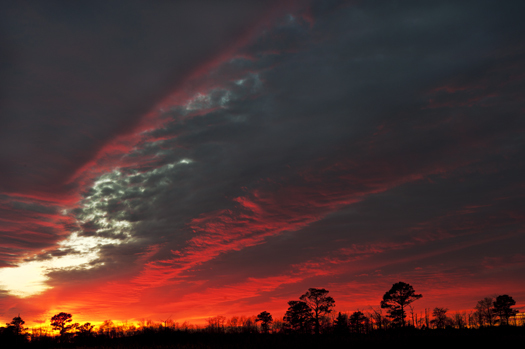 The strong cold front that came through Delaware last Saturday night was preceded by a spectacular sunset. 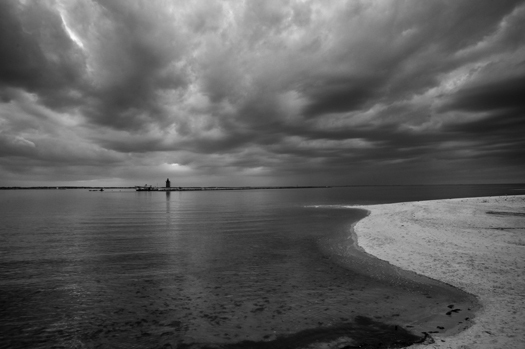 This photograph was made near Broadkill Beach. 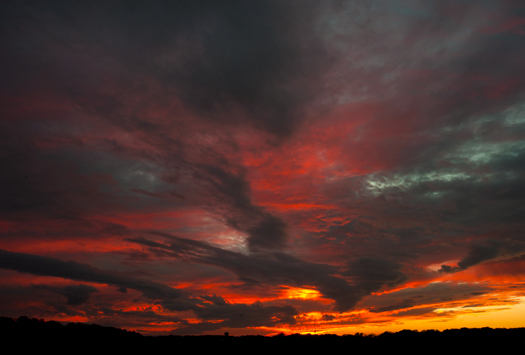 I love brilliant red sunsets such as the one I photographed two nights ago, so I went out last night hoping for a similar twilight show. The sun, however, was tucked in tightly behind clouds, the gray sky was nicely textured so a making black and white image became the mission. Photographers must develop awareness of the quality of light. I love shooting landscapes and the quality of light is every bit as important as the subject when shooting scenics. Sometimes the light and its palette in the sky is all the subject needed. Tonight was one of those nights, and, while sitting at home just before dinner, I saw a red glow develop in the eastern sky. A quick glance to the west confirmed that the sun was painting the clouds, so off to the closest open field I drove, and capturd the beauty of a lovely humid November sunset. I am at a conference in South Padre Island Texas, and had a chance to photograph sunrise on the Gulf of Mexico this morning. 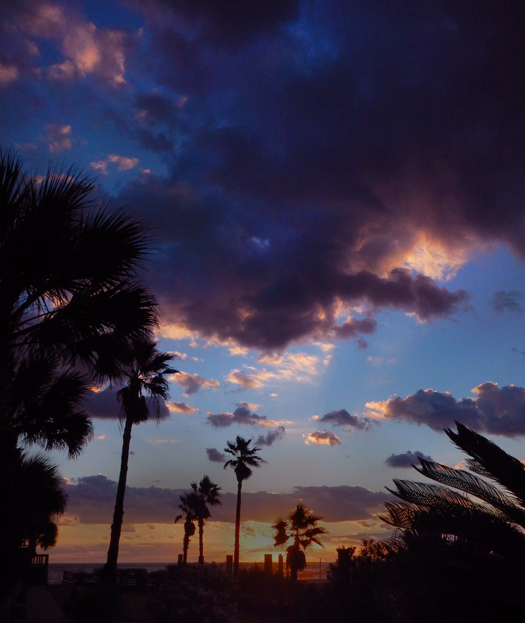 What a pleasure it is to have palm trees in the foreground.